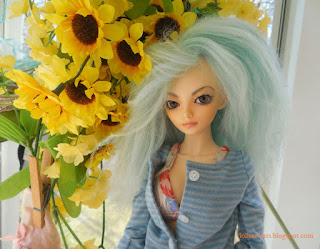 My Luts Shushu (almost a decade old now) is usually the first doll I pull out when Spring makes it warm enough to go outside and take photos. This year that meant "May", so the Prairie Buttercups and snowdrops are all done. But the plastic sunflowers bloom all year. :D The clothespin next to her holds a new-to-her dress that might have been on a Tonner before, though it looks handmade. I will have her model it later once her hair is done. She has shoes to go with it! Someone at the Kane County Doll Show had little handmade shoes that fit her perfectly. 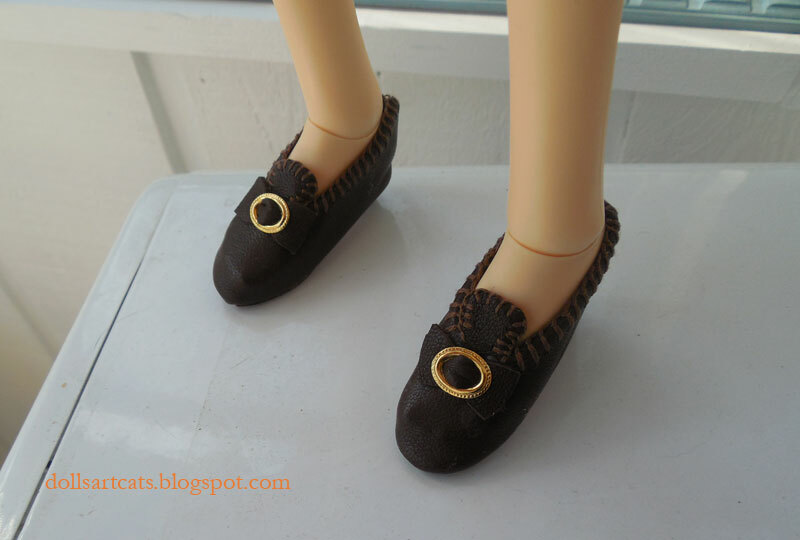 I've always wondered why Fairyland doesn't carry shoes to fit the Minifee all the time, since Minifee are so popular. Maybe it's a way to get you to buy their fullsets?